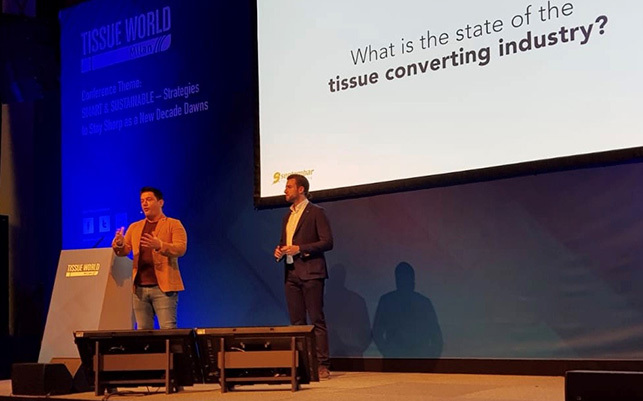 In March 2019, Gantik™ was introduced to the world at Tissue World in Milan. Along with 9 Septembar. Nick Shaw presented the topic “How a simple invention is about to change the tissue converting industry”. In his presentation, Nick summarised the current situation of the industry and the problems that consumers are facing with various products such as napkins, bibs, drapes etc. Nick introduces Gantik™ Technology as a solution and promotes the benefits of using Gantik™ in terms of its technology, patent protection, and licensing model.